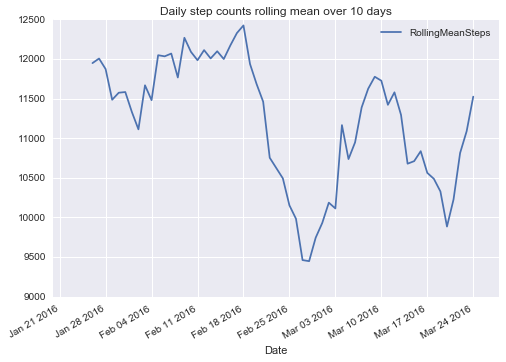 This post documents cleaning of my Fitbit daily step and sleep data and also a simple approach to looking for trends in the data. This is a continuation of my last post on this blog. First of all, please check my last post Analyzing my Fitbit data. 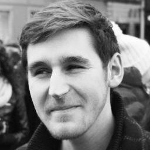 Step 1 - Downloading Fitbit data via the API, if you haven’t read it yet. The code for the present post is once more compiled and explained with many in-line comments in a Jupyter notebook using the Python 3 kernel. Thus I will not reiterate the analysis steps here. 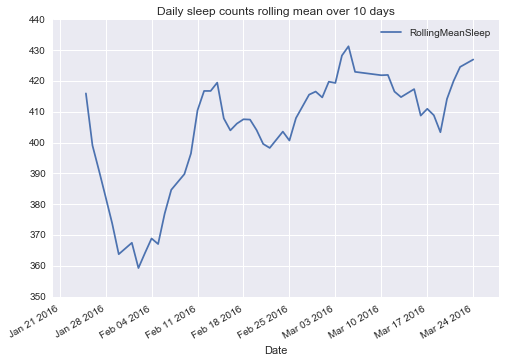 In brief, the notebook describes how I cleaned my step data by removing outliers and how I used detailed sleep log data to compute the number of minutes I slept each day. As described in the Jupyter notebook, sleep counts are measured in minutes. Before drawing conclusions about potential correlations between my daily step and sleep data, I would like to gather additional data over the next months and then return to this analysis. The reason is that I do not think that I can draw valuable conclusions from only two months of data right now. I came to realize this while performing the analyses described in this post. Once I collected more data, I would furthermore like to investigate whether my activity and sleep patterns depend on the day of the week.